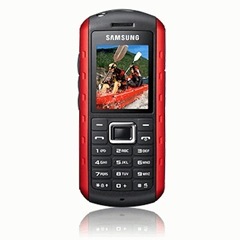 Samsung has introduced a marine model B 2100 phone. The specifications indicate that this model is India specific to withstand monsoon, dust and heat. The price is around INR 7000. Compliant with US Department of Defence with Military Standard 810F (MIL-STD-810F). Rated to withstand blowing rain, dust, shock, salt, sand, fog, humidity, water, immersion, solar radiation, vibration, and extreme temperature. For more details, log on to Samsung Mobile India. SAARC Summit: Why Security Cover by Indian Naval Ships ? Where can I get samsung marine mobile ? Please replay as soon as possible sir. Please Inform me where I get the samsung marina phone. Since 1 Year I’m searching for it. In the samsung showroom’s nobody known’s about this marina hand set. please help me to buy samsung marina phone.